Do I get free treatment? Mark joined the practice in September 2015. 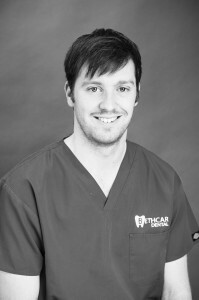 Mark qualified from the University of Birmingham School of Dentistry in 2014 and has worked in general practice since. Mark enjoys all aspects of general dentistry, aiming to achieve high standards of dental and patient care. He actively encourages patient’s to be involved in their treatment plans, advising them on how to best improve their oral health. Mark prides himself on his ability to make patients of all ages, comfortable in the surgery and throughout treatment. Mark enjoys attending various conferences and post-graduate course in order to keep his knowledge of dentistry up to date.